It’s easy these days to spot people smoking electronic cigarettes – the battery-powered, pen-sized inhalers marketed as cleaner alternatives to their traditional tobacco-packed counterparts. What may be harder to detect, experts say, is what exactly is inside some of those discreet devices. More and more, people are smoking marijuana out of e-cigarettes and vapor pens -- right out in the open with little or no fear of getting caught, users and experts say. "I was on the train from New York to Baltimore and I enjoyed the pen the whole way there and back with no one noticing," said one life-long marijuana user who asked not to be identified. "I absolutely was thinking 'This is not bad at all.'" Marijuana laws have relaxed nationwide in recent years, with Colorado and Washington legalizing its use and more than 20 other states either allowing it for medical purposes or decriminalizing possession of small amounts of the drug. Experts say drugs and drug products made for people using marijuana legally are increasingly finding their way to those who are using them illegally. That includes marijuana in the liquid and wax forms most commonly used in e-cigarettes and vapor pens, they said. "Marijuana is still widely smoked in its flower form, but this is a new way," said Bobby Black, senior editor of the New York-based marijuana lifestyle magazine High Times. "The younger generation is embracing it the same way rock and roll was around and then it was replaced by heavy metal." Black says in the year since he first reviewed e-cigarettes and vapor pens in his magazine, the story has been one of the most popular features on the website. But while marijuana use by adults may be becoming more accepted by some, local law enforcement officials and drug counselors say illegal drugs in e-cigarettes are a danger, especially if minors catch on to the trend. While there is no data on how many teen s are using e-cigarettes or vaporizers to smoke marijuana, a recent U.S. Center for Disease Control and Prevention report showed that the percentage of middle and high school students who smoke e-cigarettes with nicotine and other additives in them more than doubled from 2011 to 2012. The CDC said the percentage of students who reported ever using one rose from 4.7 percent in 2011 to 10 percent in 2012. "I care a lot about it," said Detective Lt. Kevin Smith, who heads the Narcotics Unit for the Nassau County Police Department. "For young people, marijuana is a gateway. The next thing you know they’re doing acid, molly, even heroin. I don’t like it that people are giving it a pass." Smith said when an officer arrests someone on a drug charge who has an e-cigarette in his possession, the officer is now directed to test the cigarette or vaporizer for illegal drugs. Marianne Chai, a Manhattan-based addiction psychologist, said e-cigarettes make it harder for parents to look for the old signs that their teens are using drugs. "If you're a parent looking out for your child, you're probably a little nervous about this area," Chai said. "One sign parents used to have about illicit use going on is avoidance of hugging or closeness. This makes it a lot harder to detect." 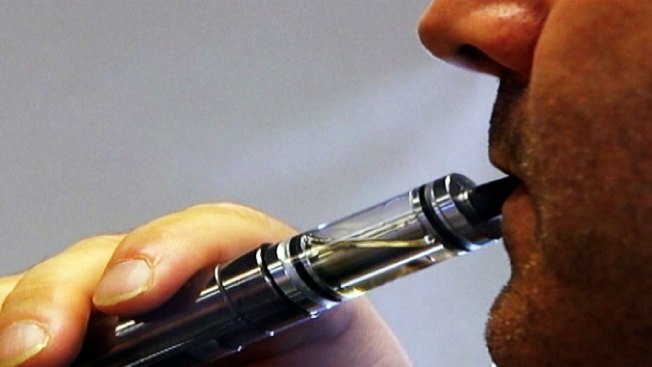 Assemblywoman Linda Rosenthal (D-Manhattan,) said concern about young people using e-cigarettes, and the possible gateway to illegal drugs, is what spurred her to introduce a bill that became law last year making it illegal to sell e-cigarettes to minors. It’s also illegal in New Jersey, though there are no age restrictions in Connecticut or under federal law. "Once you try electronic cigarettes, you can become hooked to them, move on to cigarettes and then move on to other drugs," Rosenthal said.